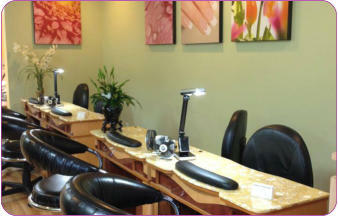 Andover Nail Spa is a full service nail salon. Our commitment to excellence and continuous education of our staff enables us to provide outstanding service to our guests. Our goal is to provide a beautiful, clean, and relaxing environment. We maintain a friendly and creative work environment. Our team of professionals will go above and beyond to make sure our guests happy. If there is a way to enhance our service to you please do not hesitate to inform us. Call us at 978.470.0545 to book your appointment. Gift certificates are available for purchase at the salon, or call us at 978.470.0545 and we will have it ready for you to pick up. We can also send them to you. We are located at 166 North Main Street (next to Whole Foods Market) in Andover, MA.